Inform. Inspire. Empower. - S.H.I.N.E. Welcome to It’s Your Time to S.H.I.N.E! You have been Handpicked by God to do something unique. You will Influence others to choose God by your lifestyle. It is my hope that something you see or hear on this site will inspire you to embrace hope, and believe that you were created to SHINE! As you browse through the site you will hear powerful testimonials of women who have attended S.H.I.N.E. meetings and events, you will learn about non-profit organizations that are helping hurting women to heal, and you will hear messages designed to empower you with the mental and spiritual tools to overcome challenges and live in your divine purpose. S.H.I.N.E. meetings have been described as a safe, authentic, spiritual place where people are free to be themselves and experience the love of God. I hope this site conveys that same feeling. 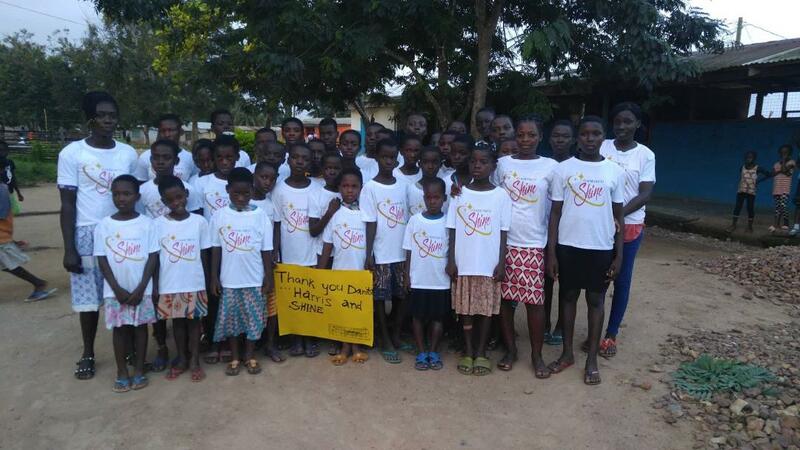 We donated shirts and school supplies to the Gloria Pointer School in Ghana, South Africa. 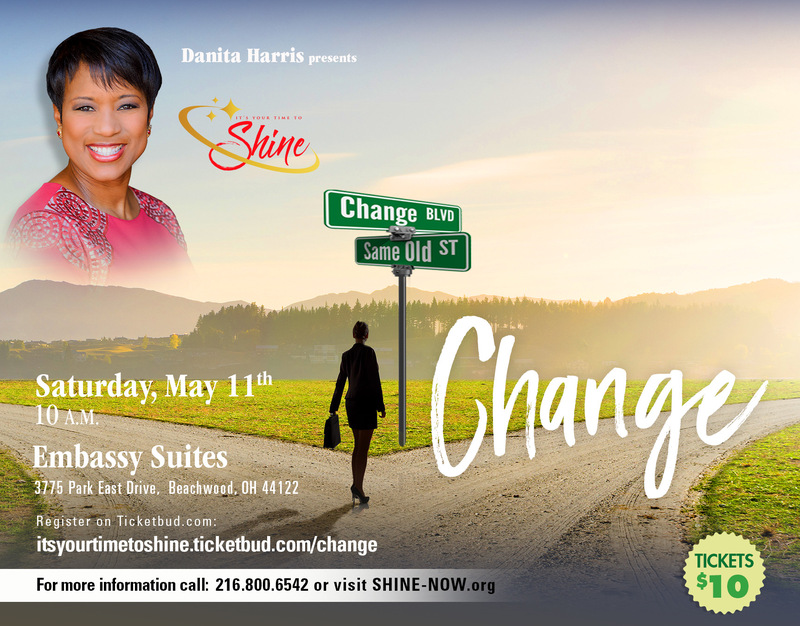 The students are wearing their shirts and the sign that says “Thank you Danita Harris and SHINE”! We are so touched by this photo! This concert will inform audience members about the importance of getting mammograms, provide resource information on where to seek help and support, and to celebrate those who are thriving as breast cancer survivors. 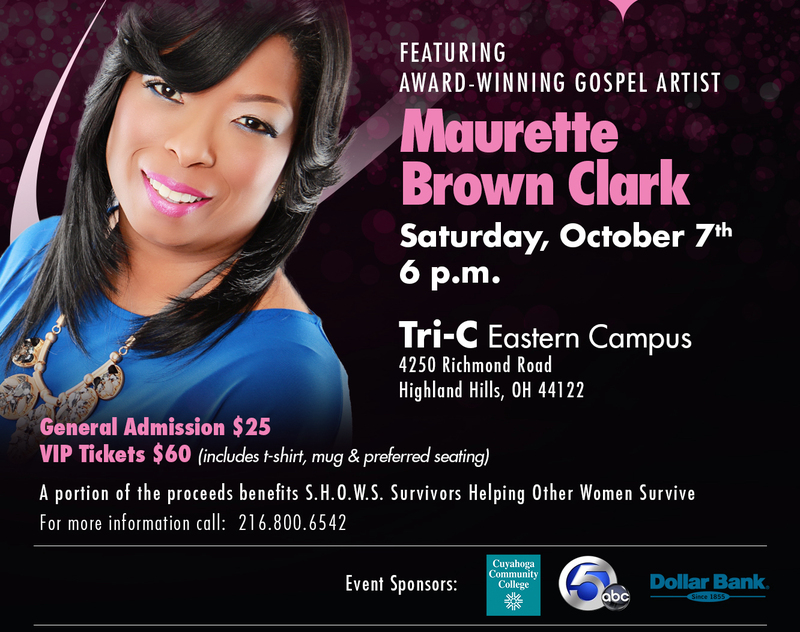 Stellar Award-Winning gospel artist Maurette Brown Clark will inspire the audience with her soul-stirring music and a portion of the proceeds will benefit the non-profit group Survivors Helping Other Women Survive (S.H.O.W.S.). They will also be performing that evening. Join S.H.I.N.E. for a wonderful night of Information and Inspiration! 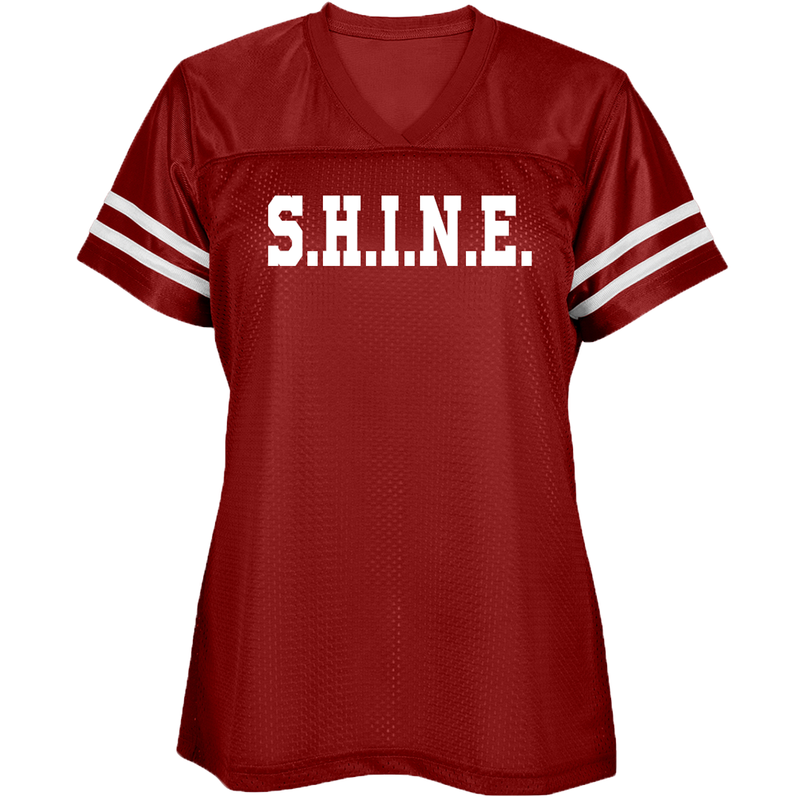 S.H.I.N.E Gear is now available online. Check out our makeup bags, coffee mugs, tshirts, and just added – Our Customizable S.H.I.N.E. Jersey. Great gifts for your girlfriends or to sport at the next meeting. Get your’s today! You don’t want to miss our dynamic monthly meetings! Once a month, a group of women gather for praise and worship, to support local organizations and their causes, and fun giveaways. S.H.I.N.E. 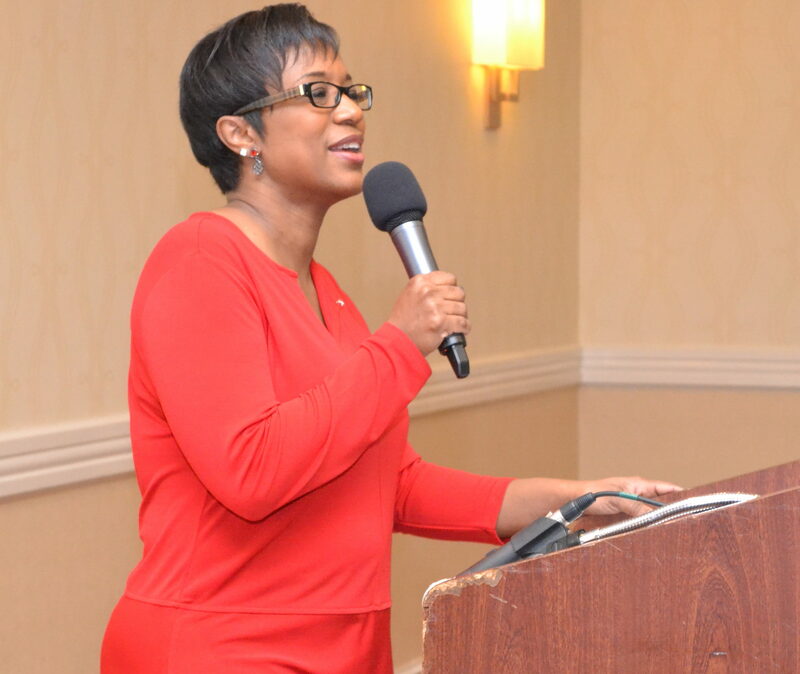 meetings will give you practical tools to help you “shine” in all areas of your life. Experts from different fields come and share their wisdom and skills with the women, in order to help them reach their personal goals.